Lake Powell water levels fluctuate greatly depending on water demand and annual runoff. 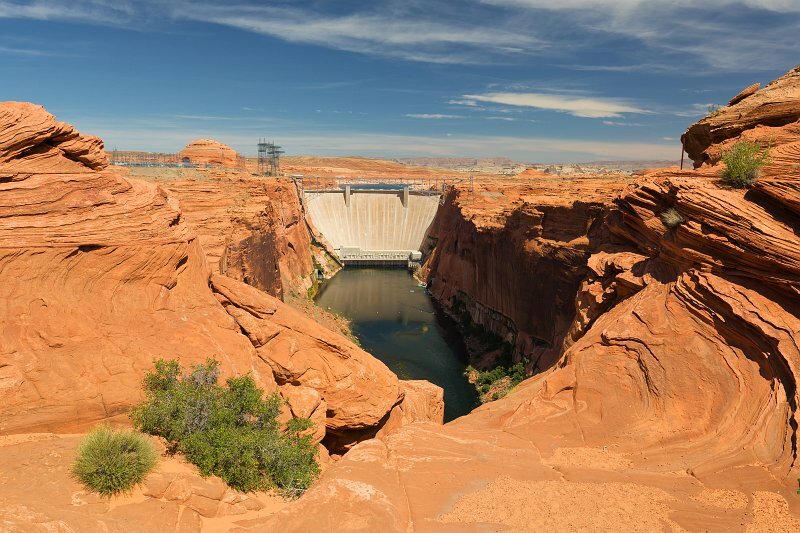 Operation of Glen Canyon Dam helps ensure an equitable distribution of water between the states of the Upper Colorado River Basin (Colorado, Wyoming, and most of New Mexico and Utah) and the Lower Basin (California, Nevada and most of Arizona). During years of drought, Glen Canyon guarantees a water delivery to the Lower Basin states, without the need for rationing in the Upper Basin. In wet years, it captures extra runoff for future use. The dam is also a major source of hydroelectricity, averaging over 4 billion kilowatt hours per year.